This 5-star resort is perched on a cliff overlooking the tranquil waters of Vale Covo beach (limited availability to beach). The hotel was recently upgraded to 5-stars after an extensive renovation (April 2017). Guests can enjoy the local beaches of Carvoeiro and Vale Centeanes that are a 10 minute walk from the hotel. Located just minutes from the traditional village of Lagoa, and close to the towns of Portimão, Silves, and Albufeira, this is a great location to call home while you enjoy and explore the beauty of the Algarve. 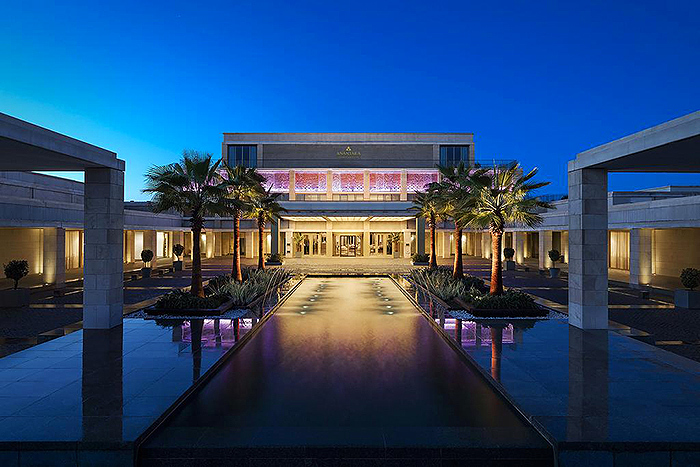 The Anantara hotel group, well known for its collection of luxury resorts in cities, islands and desert locations throughout Asia, the Middle East, the Indian Ocean and Africa has now inaugurated its first European resort in the town of Vilamoura, one of the Algarve’s most upscale resort areas. Anantara is derived from the Sanskrit word that means “without end”, and inspiration is drawn from the historic heritage and natural beauty of each hotel’s unique location. 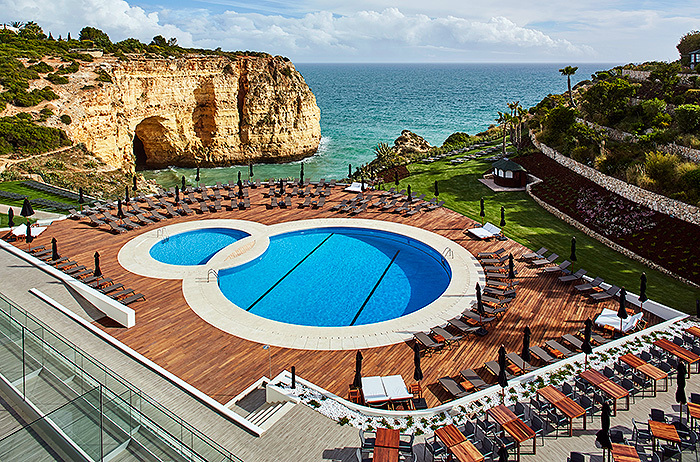 The newly opened 5-star Anantara Vilamoura, formerly known as the Tivoli Victoria, brings the Anantara experience to this sophisticated resort area located in the very center of the Algarve, about 30 minutes west of Faro. From the moment you arrive you will feel the tranquility of the rolling green hills of the golf course, the elegant terraces and cerulean pools that surround you. The hotel overlooks the Oceanico Victoria Golf Course that was designed by Arnold Palmer. In a recent post we highlighted the many things there are to see and do in the Algarve. Whether you are interested in soaking up the sun on a sandy beach, playing 18 holes of golf on a championship course, or taking a step back in history by visiting the remains of a Moorish castle in Silves, there is something for everyone to do in this region of Portugal. The Tourist Office of Portugal has put together a digital guide to the Algarve that will help you plan out the perfect itinerary. The guide includes everything from recipes for traditional dishes from the region, a list of wines and vineyards, to info on walking trails, and so much more. 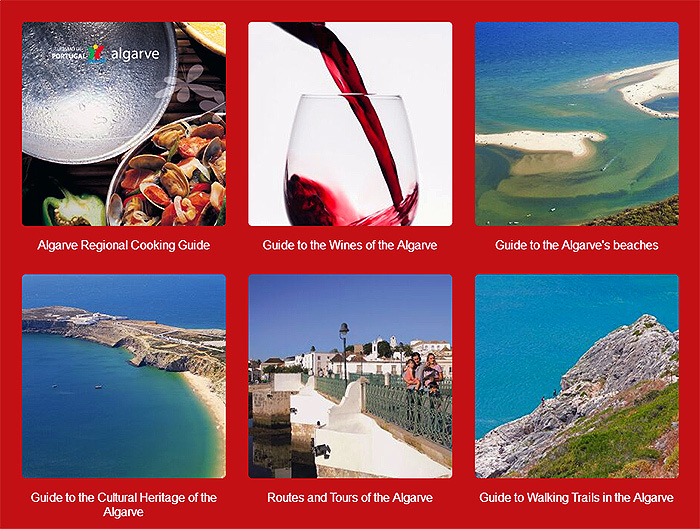 To access the Visit Algarve Guide, click here.